Natural emergency first aid kit for times of crisis | That's Bad For You! It may be too late for the most of the people on the north east coast to gather up items for this time of emergency. 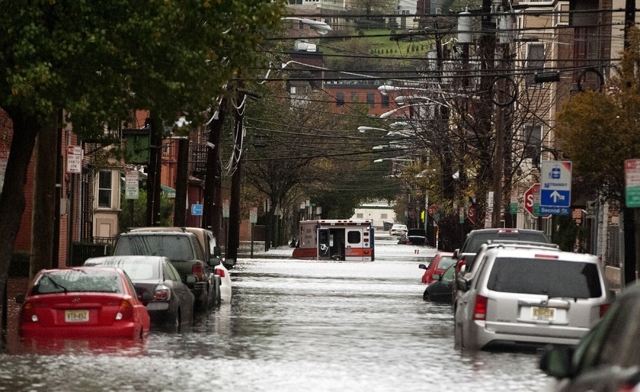 The super storm AKA Hurricane Sandy has left many people devastated. Many people are still trapped inside of their home and unable to leave their cities to gather supplies. Just imagine NO power, NO transportation system, NO 911 emergency system available to respond. Many people did not properly prepare for the storm and are now facing some emergency situations. Never underestimate the power of a storm or the damage it can do. Be proactive and keep an emergency kit on stand-by. Take a look at this emergency first aid checklist which includes herbs, medicines and tools for holistic medical safety in any crisis. It wont hurt to gather up some items that may come in handy sometime in the future. Don’t wait until you’re devastated and in crisis! This entry was posted in Helpful and tagged First Aid, Hurricane Sandy, Super storm by thatsbad4u. Bookmark the permalink.